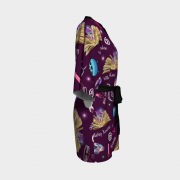 SKU: 262927. 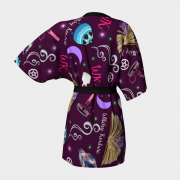 Categories: Fashion, Kimono Robe, Kimono Robes. 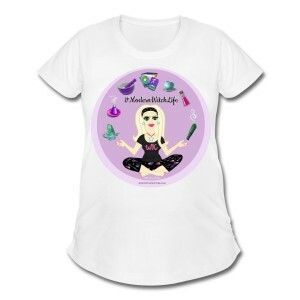 Tags: #ModernWitchLife, magical, pagan, wiccan, witchcraft, witches, witchy, witchycartoon. 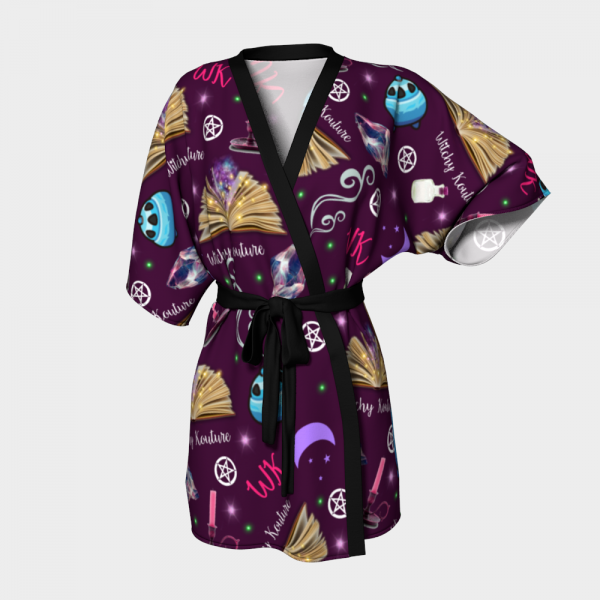 Every Glamorous Witch needs one of these stylish, dramatic & elegant Kimono Robe. 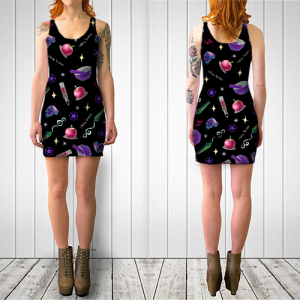 Vibrantly printed and sewn by hand in Canada with an original Witchy Kouture purple print featuring illustrated witchy tools & accessories, the quality of the print will never fade with wear or washing thanks to a special solvent-free sublimation process used during printing. And you get to choose between the softness of a silky knit (100% ecopoly fabric made in Canada & ), or style it up with a transparent peek-a-boo chiffon fabric (100% polyester). 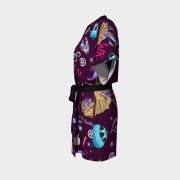 Both types come with knit bamboo fabric trim & a matching chiffon belt. It’s also really easy to care for: machine wash in cold water and hang to dry. 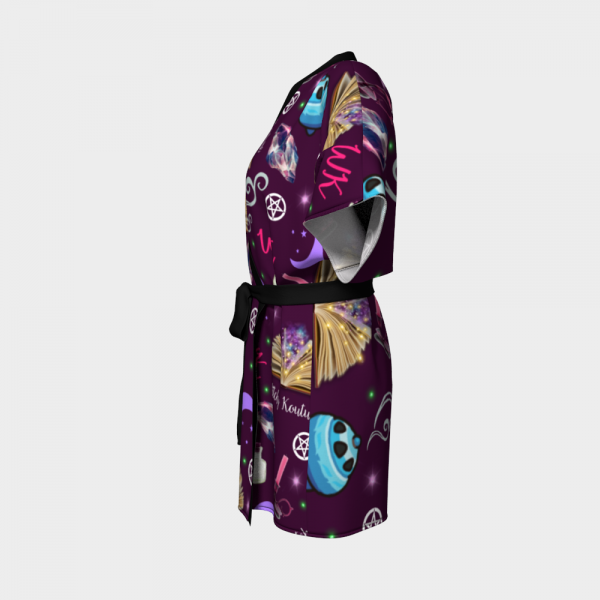 These quick dry fabrics mean you’ll have your kimono ready to wear again quickly!